In terms of boot debuts, it probably stands out as one of the best of all time. While other players in Europe got a first chance to turn out in the new Nike CTR360 Maestri on Saturday, Cesc Fabregas showed them just how to do it with a stunning display in Arsenal’s 6 – 2 win over Blackburn Rovers 24 hours later. Although the Gunners twice had to come from behind, Fabregas was simply sublime. Showing off all 3 main qualities of the CTR360 boot – receiving the ball, controlling it and then distributing it – the Spanish international ran the show at the Emirates. He started by providing an assist for Thomas Vermaelen to score Arsenal’s first equaliser before two slide rule passes set up further goals for Robin van Persie and Andrey Arshavin as the home team went in to the break 3 – 2 up. Fabregas then got on to score sheet himself with a sweet left foot volley before twice being involved in a sweeping move in which he ultimately set up Theo Walcott for Arsenal’s fifth. Fabregas was an integral part of the CTR 360 launch day on Thursday so the Nike top brass in attendance at the Emirates must have been purring over his performance. A quite brilliant display. Also on Sunday and again in the English Premier League we saw Liverpool’s Javier Mascherano and Lucas play in the new Nike boots though it wasn’t an afternoon to remember for the pair as the Merseysiders went down 2 – 0 to Chelsea with Florent Malouda scoring one of the goals in, you’ve guessed it, the CTR360. West Ham’s Valon Behrami donned the Nike footwear in the 2 – 2 home draw against Fulham whilst in the Bundesliga, Stuttgart’s Sami Khedira and Arthur Boka tried them out though none too successfully as their team was well beaten 2 – 0 by Werder Bremen. Interestingly, Boka changed in Tiempo’s for the second half. Italian fans were also treated to a sight of the CTR360 as worn by Napoli’s Marek Hamsik in the 2 – 1 loss away to Roma. On Saturday, another of Nike’s big names, Andres Iniesta, turned out in the new boot along with team mate Sergio Busquets as Barcelona overcame Almeria 1 – 0. While back over over in Germany two other CTR360 wearers also enjoyed winning afternoons. Gonzalo Castro was part of the Bayer Leverkusen side that beat Nurnberg 4 – 0 while Sven Bender’s Borussia Dortmund took the spoils with a 1 – 0 victory at Borussia Monchengladbach. Wonder if it actually helps with ball control? Fabregas was brilliant on Sunday, just brilliant. Nike couldn’t have asked for a better start for the CTR. Awesome performance by Cesc. How happy must Nike have been on Sunday afternoon? Completely Terrorises Rovers – yep, got it. Not bad for a Monday morning. Sulley Muntari and Mario Baloteeli of Inter milan also wore it. Balotelli in the white/black and Muntari in the black/red. Balotelli played OK, but muntari was atrocious. Inter won that game. Fabregas did them a good turn. Best debut of any boot ever. 4 assists and a goal in one match by one player. What more could you ask for? This boot’s desirability just skyrocketed….not to mention you can now get it in any colourway you wish. how do you customize the colors? 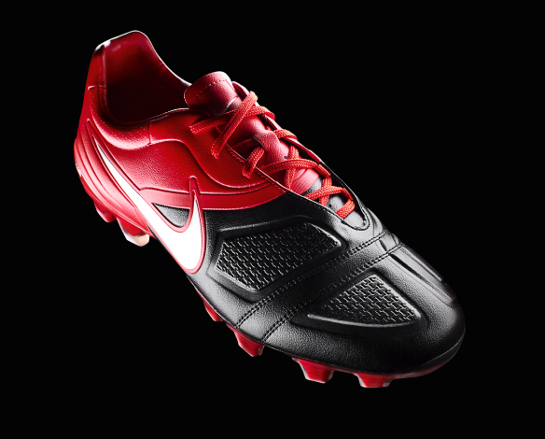 Good spot kuuku – think Balotelli also wore the CTR in the Champions League last week, all be it a blacked out version. This is what Theo Walcott had to say about Fabregas after that performance. wonderful performance by fabregas… before the game a my friend said hes over rated. well that proved him wrong. does anyone no where i can get the blackout version of these boots? Landon Donovan had a bash with these boots as well in the Friday game for LA against Chicago Fire. Boots have impressed me so far. Great coverage on Footy Boots by the way. well i think the vapor 4 debut by ronaldo against newcastle with his first hat trick and maybe an assist? I agree that these other debut’s are top class as well and wonderful. But they are just as good as the CTR360 debut, not better. Considering that neither the vapor 4 debut or the F50i’s debut showcased the ability of the boot in the manner it was intended I’m not sure they surpass this debut. Vapor 4’s were for speed if I’m not mistaken. 3 goals is excellent of course but that sounds more like what a debut of the T90 laser would have sought rather than a vapor. Same with the F50i. Messi scored a header. The F50i wasn’t advertised as “allows you to jump higher”. Eto’ actually scored the “winning” goal. After eto’s goal Manchester united were beaten unless they scored an equalizer, which they didn’t. Messi just added another. A “winning” goal is defined as the goal that put’s you clear of the opposition at the end of a game. In a 2-1 game the winning goal is the last one by the winning team, in a 2-0 game the winning goal is the first one. The CTR360 debut by fabragas perfectly showcased the boot’s ability exactly how the makers described it. They described it as a “playmaker’s” boot. FOr the player who can read the play and make the pass others couldn’t. Fabregas did that perfectly….4 times and showcased the boot’s impact zones by scoring a curling volley by striking the ball with those foam pads on the outside of the boot. 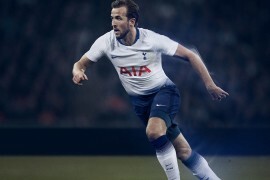 It just isn’t possible to surpass that perfect showcase of the boot’s ability to cater for the “midfield maestro” even if nike had simulated the game. That is why it is one of the best debut’s ever; the boot cannot be advertised any better than this. It is even OK to say messi and ronaldo showcased their own ability more than the ability of the boot they were wearing (ronaldo might have been speedy because of the boot but he showed accuracy more than anything else, messi might also have been quick and good at dribbling with his boot but ulimately it was an anility to get high in the air that got him his goal) while fabrgas showcased both the ability of his boot to improve his own immense ability (had he even had just 4 assists alone the advertised ability of the boot to ameliorate passing would have been proved, as it is he went over and above with a goal and good strikes on target). Simple as that really. It probably isn’t the best boot debut ever but it’s right up there. Everything good fabregas did in that awesome game came from his feet…..who knows whether the boots helped or not? Maybe they did, maybe they didn’t. Fact is, while performing these feats, he used these boots, a ringing endorsement no matter how you look at it. fabregas is a good player but those boots are really ugly. fabregas is a good player but those boots are ugly. kuuku, how do you customize the colors of the ctr360???? 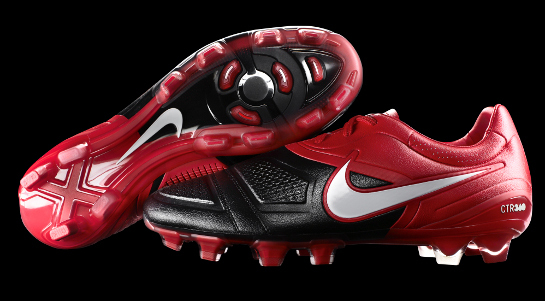 Choose men’s soccer and the CTR360 can be customized right there in a variety of colours. Enjoy! kuuku you’re 100% correct there. 4 assists and a goal wonderfully demonstrates the passing and distribution that the boot is supposed to enhance. even the goal was perfect as he scored it using the foam pads on the outside of the boot. it couldn’t have been scripted better. you can customize these on nikeID. yes i couldn’t disagree after THAT kind of performance by fabregas. excellent performance that shows everything the boots advertised for. i’m looking forward to see how adidas would response to this in their predator X debut. These look awfully lot like new predators. Also, has anyone else noticed the trend of making the boots look like plastic toys (vis a vis puma v1.10, ctr360, new predators, etc)…?